Julius and Hestra were running around checking pulses as Altador had – Julius reported, "Everyone's alive, sir. Though with the headaches they'll have..."
"You could imagine how much of a nasty shock it was to me and Theodore when our father told us the news. Here, a beggar, was to become one of the Cyvisham heirs?" My feet padded softly on the sands of Mystery Island. Night had fallen not too long ago, and the boat sailed away in the dark, never ending ocean. And with it went my only way back to my real home. "What part of the city do you think we arrived in?" "I ain't a genius with a sword," he said slowly. "I gotta practice constantly, or I lose my edge. But there's no practice yard here and I don't reckon anybody'd appreciate me breaking vases by swinging a sword around inside. If I'm gonna be a proper knight I gotta learn mounted combat sooner or later, so I was wondering if you wouldn't mind goin' out to practice a bit." "Uncle Arthur!" Kendrick exclaimed. "I... I was just..."
This place had changed so little. She remembered the market. Remembered the noise, the chaos of bartering... and a chaos of a different type. Hesitantly, the white Bori crept forward, parting the stalks of bamboo to take her first look at the Shenkuu citizens. "Hey Tobin, I'm going to the park. You wanna come?" I called up the stairs the next morning. 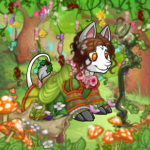 Last year I started to lab one of my favorite pets, Evernone. I'm not sure if I started just for the stats or just for fun but either way, it happened. With this guide, I'll be letting you in on a few secrets on how to level up quickly, as well as the basics of this great game. Change is always hard to deal with.